Cows graze at Mount Vernon Farm, the site of a summer solstice dinner. What: You've heard of farm-to-table dining, but taking the table to the actual farm is catching on, as well. This summer solstice farm dinner, located at the foot of the Blue Ridge mountains, will be prepared by chef Cathal Armstrong (at right) of Restaurant Eve using ingredients from Rappahannock farmers. Artisan wines from the area will be paired with the meal. Guests will spend the evening mingling with the chef, the farmers and winemakers. Who: The dinner is sponsored by Gourmet Rappahannock Food & Wine Consortium in partnership with the Rappahannock County Office of Tourism, the Piedmont Environmental Council and Flavor Magazine. Net proceeds will benefit the Rappahannock County Farmland Preservation Program. When: June 20. Cocktails will be served at 5:30 p.m. on the lawn of the Miller family farmhouse followed by dinner at 6:30 p.m. on a nearby knoll. Where: The historic Mount Vernon Farm, outside Sperryville, Va., about 75 miles west of DC. Cost: $180 per guest. Tickets are available at gourmetrappahannock.com. For questions, email info@gourmetrappahanock.com or call 540.987.8682, mailbox 2. I'm very bummed I'll be out of town for this. As one of the (slightly frazzled at the moment) organizers, I have to say that, yes, this will be amazing. Also I can't resist posting a comment about the cow grazing picture: I want you to know that Cliff Miller (Mount Vernon Farm Owner) moved the cows out of the pasture where the dinner is scheduled to take place, and he is mowing it (which is anathema to the grass farmer he is - what a waste of good grass, you know!). 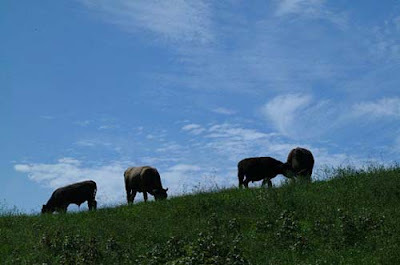 But we want our guests to have a wonderful experience, and so the pasture is being taken out of production for 2 months! 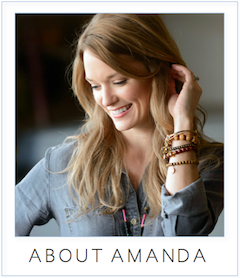 Thanks for the posting Amanda. I hope many of your readers take a look at the event - and many decide to come too!